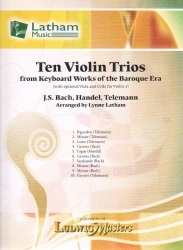 Ten violin trios from keyboard works of the Baroque era (with optional viola and cello for violin 3). Arranged by Lynne Latham. Includes score and parts.